Following a successful career in karting in Australia from age 8 to 14, Nathan joined the 2004 New South Wales Formula Ford Championship. Contesting five rounds out of six due to age restrictions, he took sixth position in his first Championship. At age 16, Nathan moved to England to contest the 2005 Formula BMW UK Championship with Motaworld Racing. He took three Pole positions, one win, three third positions and came seventh in the UK Championship. He also contested the first ever Formula BMW World Championships in Bahrain where he finished in fifth position. His performance impressed many including Red Bull, who signed him on as a contracted driver for the Red Bull Junior Team for Formula Renault 2.0 for 2006. During 2006 Nathan also competed in Formula Renault Eurocup and Formula Renault NEC. After leaving Red Bull, Nathan raced in Formula 3 Recaro Cup, German F3 Championship. He won his third F3 race and secured pole positions and podium finishes. With team HS Technik he achieved one eighth, one sixth, one fourth, one third, one win and one Pole position. In the same year, he tested for World Series by Renault, Eurointernational. GP2 tests followed, A1GP Team Australia Rookie and TRS New Zealand. Returning to Australia, Nathan spent the next three years reshaping his racing career as a successful and well respected professional driver from open wheelers in Europe to GT3 racing in Australia and Southeast Asia. In 2014 Nathan competed in the Australian GT Championships with car owner Rod Salmon in an Audi R8 LMS GT3 Ultra. Together they won the Australian GT Trophy Championship. In 2014 Nathan also drove for Dilango Racing in a Lamborghini Gallardo FL2 GT3 the GT Asia Series in Japan and Malaysia. Nathan entered the 2015 Australian GT Championships in the Skwirk / Beechwood Homes Audi R8 LMS Ultra as a solo driver. In Round 1 at Adelaide he came first in the first two races and third in the third race, winning the round and the prestigious Murray Walker Trophy. In Round 2 at Phillip Island he was eleventh. In the two races in Round 3 in Townsville he came fourth and first. In Round 4 in Sydney he took second in race one and third in race two. In Round 5 at Sandown he was seventh in race one and ninth in race two. In strong contention for the Championship, at the final Round 6 at Highlands NZ, another competitor made contact with Nathan forcing him out of the final race of the season. As a result Nathan finished the 2015 Australian GT Championships in fourth place. During the 2015 season Nathan also drove for the FFF Racing Team by ACM in the GT Asia Series Championship in Japan, Malaysia and China in a McLaren 650S GT3. 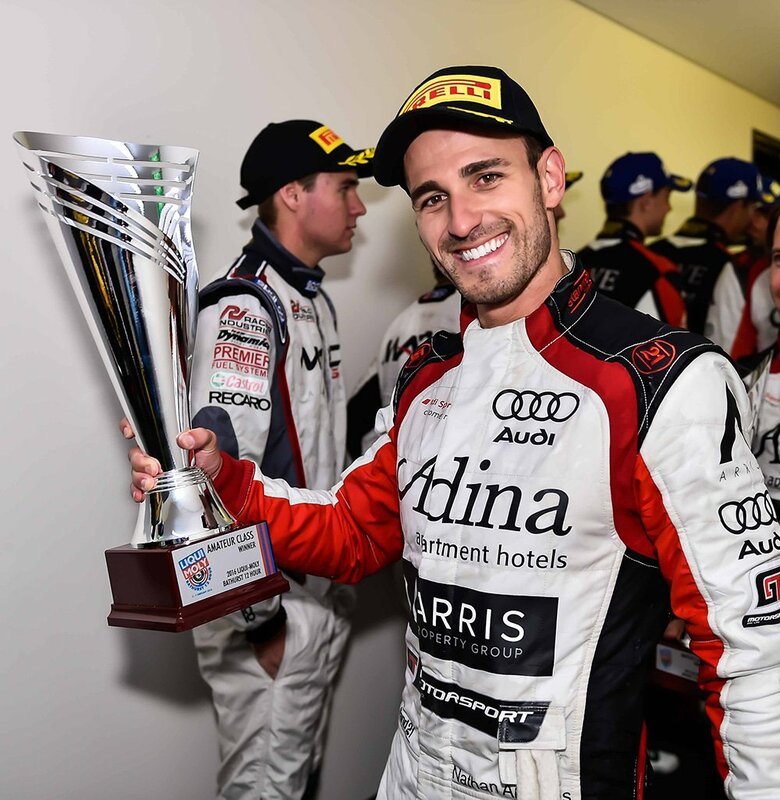 Nathan opened the 2016 motor racing season with a win at the Liqui-Moly Bathurst 12 Hour endurance race, finishing first in AA class and in sixth place overall with co-drivers Greg Taylor, Barton Mawer in an Audi R8 LMS. In 2016, Nathan Antunes competed in the Australian GT Championship with Tekno Autosports, driving a McLaren 650S GT3. 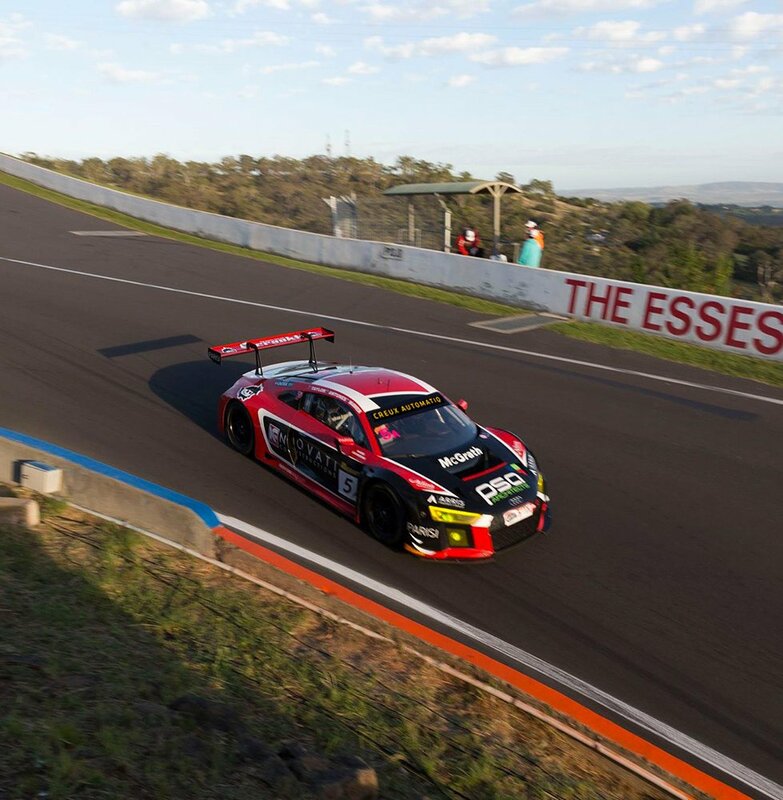 At the 2017 Bathurst 12 Hour, Nathan was the only Audi driver to make the Top 10 shootout in qualifying. Fastest Audi in the race and placed as high as 3rd during his drive.